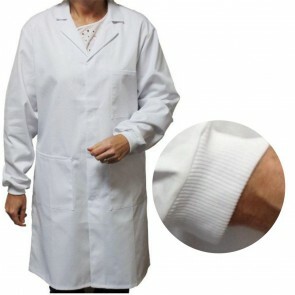 Add cuffs, pockets, specify length, thickness, colour, etc..
A choice of white coats made from polyester cotton with or without external pockets. 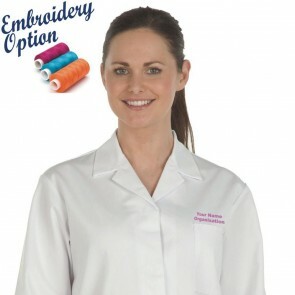 Add your organisation name and/or logo with our embroidery service. 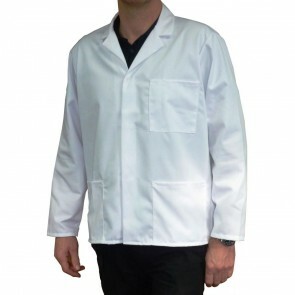 Although described as lab coats, our white coats are equally suitable for use in catering establishments, delicatessens, butchers, bakeries and food factories. They are also used as "show coats" by animal breeders at agricultural shows. 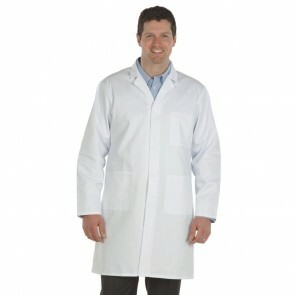 We offer both men's/unisex and lady's style lab coats. The men's/unisex coat is a classic straight cut coat, whereas the lady's version offers a more fitted look. 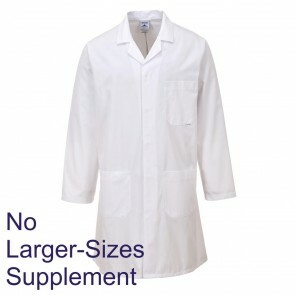 The Men's Lab Coat is made from a high quality, hard wearing 245gm (7.25oz) polyester cotton mix. 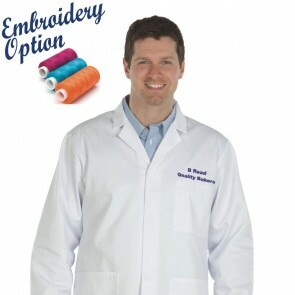 They feature three patch pockets, one breast pocket and two front hip pockets. They have a rear vent and concealed stud, popper-fastenings. 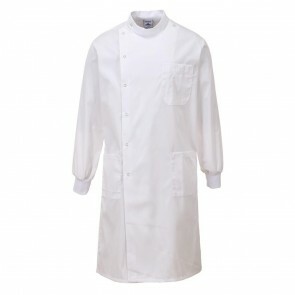 For white coats without pockets, take a look at our Food Trade Coats. 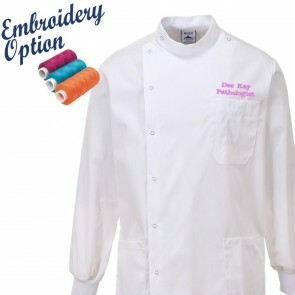 We also offer a low-cost embroidery service on this garment which includes a wide choice of font styles and text colours. 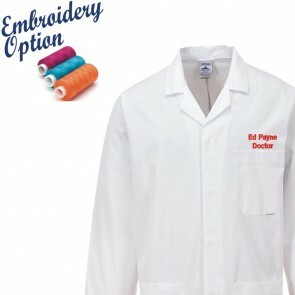 Our standard embroidery includes up to two lines of text, ideal if you want to include an employee name and job title or a company name and department. 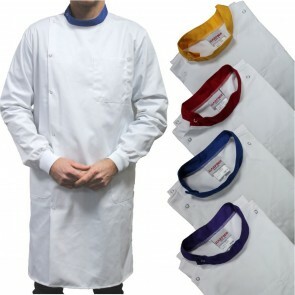 We can also embroider company or organisation logos onto these lab coats. This service does involve an initial set-up charge. The cost of the set-up will vary from logo tot logo and will depend upon the complexity of the design and the number of stitches it will take to reproduce the logo. Simply send us a picture of your logo and we can provide you with a no obligation quotation. We can supply this garment in a number of different colours and can have them made to individual requirements subject to a minimum order. 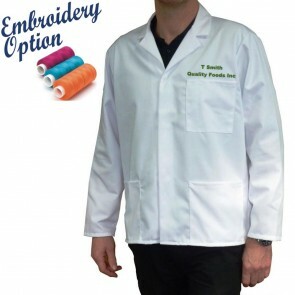 Custom garments are usually subject to a 4 to 6 week lead time. Please do not hesitate to contact us if you would like further details.